Yes it's possible – and yes it works! 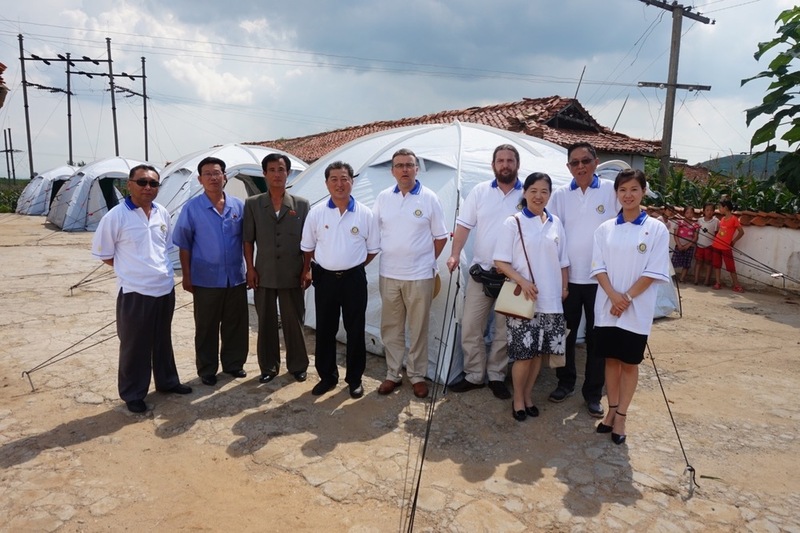 The Korean Friendship Network of Rotarians is an informal network of Rotarians, Rotaracters and like-minded humanitarians who wish to help North Koreans in need. We empower the greater Rotary family to connect with the DPRK (North Korea) in order to conduct meaningful community service projects. 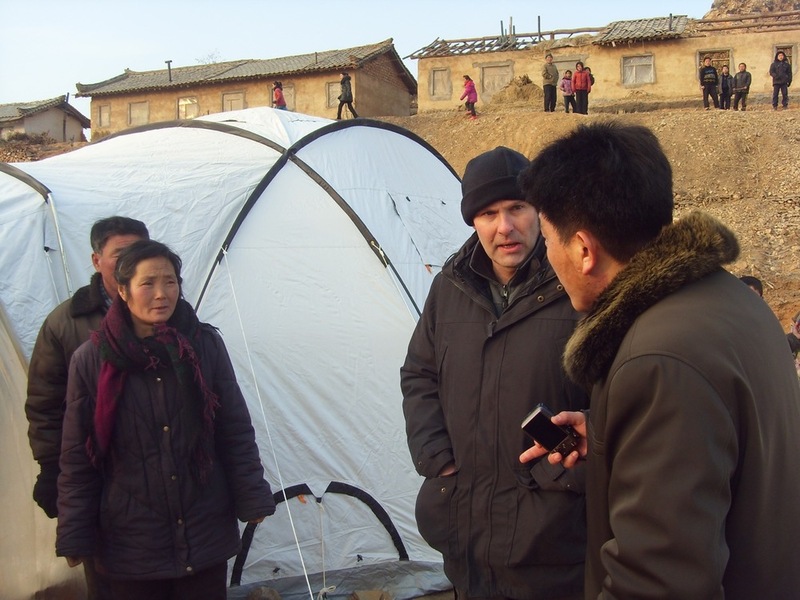 We partner with reliable DPRK public service organizations that serve the needy, including: orphaned children, the disabled, the elderly, and families afflicted by natural disasters. See more details in our Projects section. In response to severe summer flooding we provided antibiotics and other medicines to assist orphans and the disabled. While DPRK has large numbers of well trained health care workers, the country lacks sufficient equipment, supplies and access to modern medical techniques to empower them to fully serve their people to the best of their ability. We have provided medicine in response to disasters, refurbished hospital facilities, invited doctors and patients to come to China for life saving heart surgeries, have provided wheelchairs for the disabled. We have also provided a sustainable solution for the supply of hot water and handsoap, to reduce communicable disease. To help alleviate chronic malnutrition we provided fortified foodstuff for orphanages. Traditionally the southern half of the peninsula was the bread-basket of Korea while the north was the wealthy industrial heartland. For several reasons (a shortage of arable land, natural disasters, energy poverty, etc.) North Korea has suffered ongoing shortfalls in crop yields over the past 2 decades. Intensive mono-cropping and a shortage of seed variety have also contributed to chronic malnutrition. We have provided fortified foodstuffs to help alleviate this problem and have identified a broader range of food plants as a more sustainable solution. Locally sourced solar water heaters are a sustainable solution to provide orphanages with hot water for better health & hygiene. The DPRK is an industrialized country where basically the power was shut off a quarter century ago as. Insufficient power generation, a decaying power grid and severe shortage of liquid fuels and biomass such as trees – means that most families, schools, hospitals are frequently living in the dark and the cold. Off-grid solutions such as solar water heaters, efficient cookstoves, and solar PV generation equipment can directly improve health and hygiene, enable children to study, and enable professionals to better care for their people. Tom Wilkinson, Rotary Club of Charlottetown Royalty welcomes visiting DPRK Agronomists to the Canadian Maritimes. Find out about our network: who we are, what we do, why we do it, and the results of almost two decades of Rotary service project activities in North Korea. Shanghai Rotarians and friends went to the disaster site of a massive explosion to donate wheelchairs to newly disabled children. We need your help. If you are curious whether you can improve the lives of ordinary North Koreans, the answer is YES. Support one of our projects – or initiate one of your own.